My name is Joanne, and this is my blog. I’m a computer scientist, a writer, a musician, and a mom. I have a wonderful long-coated chihuahua (pictured left). I plan to expand the FAQ section below, but in the meantime, I hope you enjoy my musings. QUESTION: What’s the purpose of this blog? ANSWER: The purpose of this blog is to discuss writing, but don’t be surprised if I share other fun things that interest and inspire me on occasion. QUESTION: What’s your writing background? ANSWER: In grade school, I began writing short stories, poetry, plays, and songs. I won a speech-writing competition in high school and earned high praise from writing teachers in high school and college. (Psst… Dr. Thearle, if you’re reading this, do you still have my Theophrastan character essay?) As a young adult, I was recruited by a teacher at a local school to help start a Writers Workshop for gifted kids, where I worked with children on the various stages of the writing process (outline, rough draft, proof reading, editing, revisions, final draft). I helped the young writers to evaluate their own work and the work of their writing partners using a rubric. 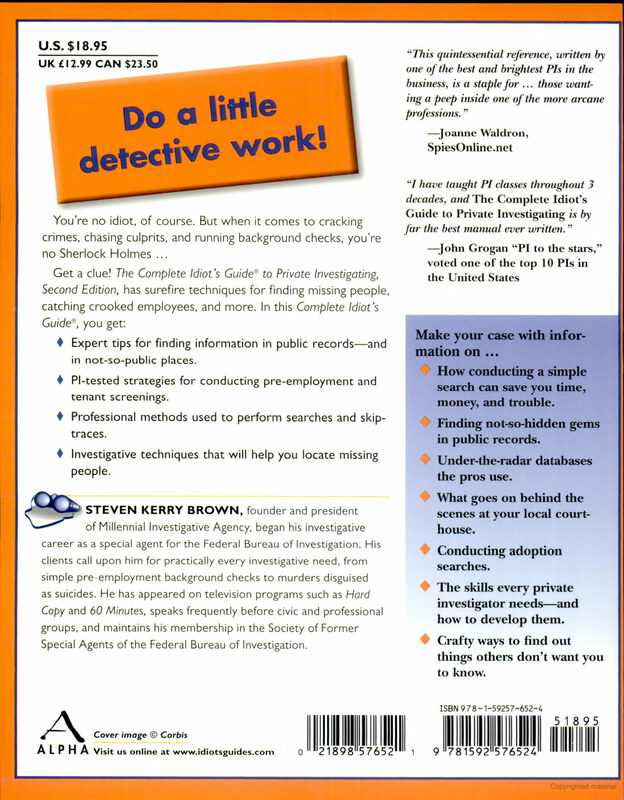 I’ve written articles/essays on a wide range of topics and was quoted on the back cover of The Complete Idiot’s Guide to Private Investigating, 2nd edition. My experience also includes collaborating on writing a few Sunday School plays/programs for children. Over the years, I’ve critiqued countless manuscript openings, research papers, and other writings for fellow authors and students. Currently, I’m working on writing a novel—more about that later. Stay tuned! QUESTION: I’ve heard that you have connections in the world of private investigation, and I need information for a book I’m writing. Will you help? ANSWER: Feel free to contact me. I’m happy to help when I can, as time permits. QUESTION: Will you review my book? ANSWER: I have a limited amount of time to review books, but please ask. QUESTION: Will you critique my manuscript? ANSWER: I may occasionally critique the first few pages of a novel for someone on the blog, as time permits. QUESTION: I’m an author. Will you interview me for your blog? ANSWER: I’m always interested in interviewing successful authors, as time allows. QUESTION: How many children do you have? ANSWER: I have one son, Scottie, and he’s a keeper. I’ll probably mention him from time to time on the blog. He has many unique qualities, but he’s an especially amazing violinist. If you’d like to hear him play, just click on the picture below. QUESTION: How did you come up with the name of this blog? ANSWER: My son studied with an amazing violin teacher who always used to say, “Do something you love.” After he would play for her, she’d ask, “Did you love it?” The idea was to practice a piece of music until he could answer in the affirmative. 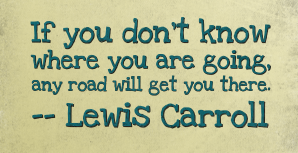 I believe her advice applies to many disciplines, including writing. While some people say that perfection is the enemy of “good enough,” that’s definitely not my motto. To be continued… Check back. I’ll add more questions and answers soon.